Sayyiduna Abu Hurairah reported: The Allah’s Apostle (PBUH) said, "A slave becomes nearest to his Lord when he is in prostration. 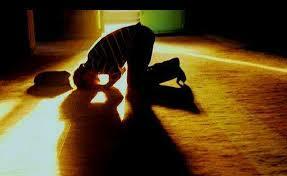 So increase supplications while prostrating." (Muslim). Sayyiduna Abu Darda' reported: The Allah’s Apostle (PBUH) said, "The supplication of a Muslim for his (Muslim) brother in his absence will certainly be answered. Whenever he makes a supplication for good for his brother, the angel appointed for this particular task says: "Ameen! May it be for you, too'." (Muslim). We will stress here on the fact that since increased worship and remembrance of Allah during this Night of Deliverance is a non-obligatory, there are no strict rules of what sort of worship must be done. These are only recommendations by our illustrious scholars, so that we reap the maximum out of our sincere worship, and the maximum out of our sincere supplications. If any slave wishes to concentrate on any sort of worship, he can definitely do that; who are we to prevent from virtue? 1. Repent from sins and seek Allah’s forgiveness. 5. Increase your knowledge by reading books of Tafseer etc. 6. Supplicate to Allah, seeking all the needs of this world and hereafter. 7. 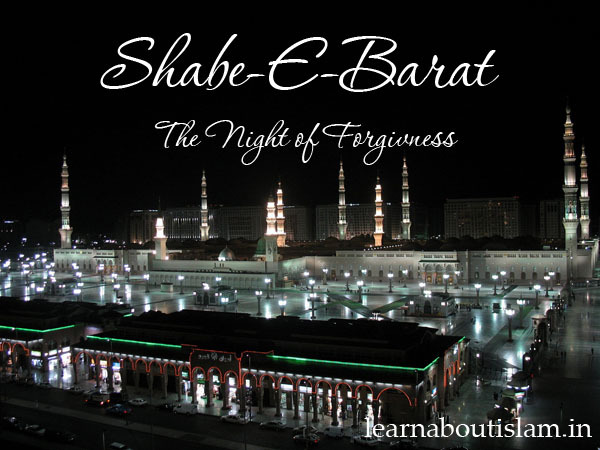 Offer the Maghrib, Isha and Fajr Obligatory Prayers with the congregation. This carries a very high reward, including spending the whole night in worship. 8. Attend the assembly of pious scholars, listen to their discourse, and try to gain some sacred beneficial knowledge. This too carries a very high reward, including spending the whole night in worship. 9. Offer the missed obligatory “Qada” Prayers, and resolve not to let them lapse again. 11. Offer additional charity to the needy, orphans and destitute. 13. Visit the Graveyard, especially graves of deceased parents. 14. Do Tawaaf of the Kaabah or any other virtuous etc. 15. Stay away from play and frivolous pastimes. We have already listed some narrations regarding how Allah brings His slaves closer to Him, when they have completed their obligations and then persevere in the Nawafil (non obligatory). Before we list out the recommendations of our illustrious scholars regarding the mode of worships, we list here-below the virtues of such worship, so that we understand them and incline towards them. 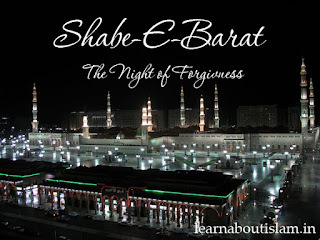 Perform Ghusl after Magrib Namaz for Safeguarding from Magic for the Whole Year till next Shab E Baraat On the 15th night, After Magrib Namaz, Take Ghusl with Berry Leaves. Take 7 leaves, boil them in water and perform Ghusl with that water. Each person must have 7 leaves. After Ghusl, Perform 2 Rakats of nafl for tahiyatul wudu. In every Rakaat, after the Suratul Fatiha, you should read Ayatul Kursi once and Surah Ikhlas 3 times.